Lets all spend lots of money on presents for family members we haven’t seen in a while and therefore don’t really know what they would like, so we buy ‘Oh thanks’ kind of gifts that will get half a days use and then stored away in their room on boxing day. If you take a step back and think, don’t you think its quite bad that a religious festival like christmas has basically turned into another big consumer period like Valentines day, Easter and most recently in the UK, black friday. You have hardly been spending what you have left of your hard earned money after bills, food and transport but if you don’t suddenly splurge out and buy stuff for the sake of buying stuff because ‘its Christmas’ it will seem as though you are selfish or being scrooge. For me its all about value. I would rather spend £100 on a fun memorable day out or experience rather than £60 on things that may not get good use. The reason for the disparity in how we value goods is that, while people shop sensibly when it comes to choosing items for themselves, they are hopeless at picking out gifts that relatives they don’t see often will value. 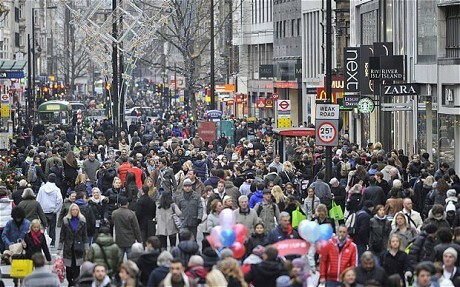 Retailers have created a whole industry of novelty gifts and useless gadgets to take advantage of this dilemma.” – Why Giving christmas presents is pointless and bad for the economy. Daily mail 2011. Could you Imagine the horror in the retail industry if everybody suddenly decided to focus more on spending time over spending money for Christmas. Of course you do spend time together on christmas day but I’m referring to the part leading up to that. How cool would it be if it became common practice across the world if everyone made each other gifts and shared experiences over the christmas period. And simply buying a present became a sign of laziness. Come to think of it you could create a whole industry from that. A social and ethical one. Don’t get me wrong, Its a great feeling to buy a nice christmas present. I remember last year I bought my two nieces these (in my opinion) wonderful warm winter coats. I was really pleased with the purchase and i remember them liking it. But when they are older will they say ‘remember the christmas when Uncle Nathaniel bought us those jackets!’. Maybe, but its probably more likely a memorable experience would be longer lasting in their minds. I think the other problem for me is leaving everything to the last minute. Then watching your bank balance go down on last minute purchases just before the new year as you are trying to end the year strong and hit the new year full of optimism and energy. Can spending money be lazy? As a totally separate topic I was thinking about this whole spending money as a lazy way out of things the other day. But I will save that for a separate post. For this purpose that may be taking the idea too far. We were all kids once and remember the fun of father christmas, opening presents and enjoying the holidays. But if the excuse for spending money you don’t really have is just ‘Its christmas’, that makes me wonder what would happen if you didn’t have any money. Would it be all doom and gloom because you aren’t getting stuffed and opening loads of presents together as a family? Or would the complete opposite happen. You find alternative fun ways of doing things, go out for a walk or find something cheap to do together. Go home, play board games and have fun. Christmas is a great time to celebrate and spend time with friends and family. But just remember, as a wise woman once said.